The main power source used in Brazil is hydropower (60 per cent of the electricity mix, excluding small plants), while thermal power plants play an important role in complementing the mix and assuring security of supply (26 per cent of the mix).3 In addition, alternative power sources, notably wind, biomass and solar, have gradually increased their share and gained additional importance in the electricity portfolio. Renewable energy has more recently been encouraged by net metering policies, and has become more competitive over the past few years, as evidenced by the latest power auctions. The electrical system is interconnected by transmission facilities that enable electricity produced in remote areas of a continent-sized country like Brazil to be transported to major consumers' markets, mainly located in the south-east. The grid has its operation centrally coordinated and controlled, to reduce global costs and enhance security of supply, especially during dry seasons. The Brazilian federal government is empowered by the Constitution to provide services and facilities within the power sector. Private companies are entitled to enter the market through government delegation by concession, permission or authorisation. b the Committee for Monitoring of the Electricity Sector, part of the MME, mainly created as a response to 2001's rationing (by Law 10,848/2004), and responsible for monitoring security of supply and suggesting correction measures. Since the market's liberalisation, the industry's participants have been regulated by ANEEL,4 granted with autonomy from central government but attached to the MME. ANEEL, created by Law 9,427/1996, regulates and supervises power generation, transmission, distribution and trading activities to assure the correct balance between the interests of companies and consumers. The agency is responsible for implementing the policies and guidelines outlined by the MME, and for monitoring the activities developed in the sector, by verifying the compliance with its rules and regulations, and supervising contract performance. Some of ANEEL's activities are undertaken by delegation from the MME, such as the conduction of power auctions and the granting of regulatory licences. It is important to note that the performance of complementary supervision activities may be decentralised to state regulatory authorities, under the terms established by law. ANEEL is managed by an executive board composed of a managing director and two other directors, is organised into technical divisions and is charged with performance of administrative functions in different areas such as economic regulation, market studies, supervision, mediation and the granting of concessions and authorisations. The restructuring processes undergone by the power sector involved the creation of new institutional authorities. The National Electric System Operator (ONS) was created by Law 9,648/1998 as a non-profit association to coordinate and control the operations of the electrical grid, and had its governance system granted even more independence within the 2004 reform. Under the previous regulatory framework, an operational institution was created to manage the wholesale market, which was succeeded by the Electricity Trading Chamber (CCEE) following 2004's regulatory reform. The CCEE, introduced by Law 10,848/2004, is mainly responsible for the registration of power purchase agreements (PPAs), and for the accounting and financial settlement of electricity trading operations. Within 2004's reform, another institutional entity was created: the Energy Research Company (EPE), a public company responsible for studies and research on the energy industry with a view to enabling the sector's planning, as foreseen in Law 10,847/2004. Since the federal government has the authority to provide electricity services and facilities, private companies need government delegation to enter the market. The regulatory licence required for entrepreneurs to operate in the power sector depends mainly on the segment (generation, transmission, distribution or trading) to be joined, and the extent to which regulation is exercised in each of them. Under the provisions of the legislation currently in force, the MME is the granting authority and may delegate its powers to ANEEL. Power generation may be operated by means of a concession of use of public assets, a public service concession (former concessions fall within this regime), an authorisation, or even a communication. The regulatory licence required and the applicable regime depend on the plant's installed capacity, the power source and the reservoir's size (a requirement for hydropower plants). As for large hydropower plants (HPPs) that have an installed capacity in excess of 50MW, the entrepreneur must participate in power auctions to be granted a concession to operate new generation projects (new-project auctions), and is required to sell a minimum percentage of the plant's output on the regulated market (the remainder may be sold on the free market). The bid entitles the winning bidder (selected by lowest price criteria) not only to operate the new project (by being granted with a concession of use of public asset), but also to sell electricity to the distribution companies participating in the auction. Companies with hydropower plants in operation may participate in power auctions conducted specifically for purchasing electricity from existing projects (existing-project auctions), or may sell their output on the free market. On the other hand, authorisation is required from companies willing to operate small hydropower plants (SHPPs) – which have an installed capacity of up to 30MW and a small reservoir – and plants with a capacity not higher than 50MW that do not have SHPP characteristics. Although the granting of authorisation does not require an auction, the existence of more than one interested company in the same hydroelectric potential triggers a competitive process by which ANEEL selects the entrepreneur, under the provisions of ANEEL's regulations. Other energy sources such as thermal, wind and solar are subject to an authorisation regime, whose process is conducted by ANEEL. All of them, including hydropower plants subject to authorisation, may participate in power auctions (either new-project, existing-project, or back-up energy auctions) to sell their production in the regulated market, or may sell it in the free market. When it comes to new projects, plants subject to an authorisation regime may choose to participate in a power auction to be granted the correspondent authorisation and sell electricity in the regulated market.5 Should they decide to sell their production in the free market, they need to undergo the authorisation process with ANEEL to operate the power plant and freely trade the plant's output. Small plants – with an installed capacity of up to 5MW for thermal and renewable energy, including hydropower plants – do not need authorisation, but require a communication to ANEEL in light of their reduced impact on the system. The regulatory licences mentioned (except for new hydropower concessions, currently only operated by independent producers) can be granted either under an independent power production regime or under a self-production regime.6 Former concessions are also operated under public service regimes. Please refer to the table below for a general summary of the regulatory licences required from private investors to enter the Brazilian power generation segment. Private investors are forbidden to provide nuclear power on account of the federal government's operation monopoly, foreseen in the Constitution. For that purpose, the state-owned company Eletrobras has a subsidiary, Eletronuclear, which operates two nuclear power plants currently in operation. Power transmission and distribution activities are considered natural monopolies, given their dependence on the electrical grid. In addition, in light of their importance to a continent-sized country like Brazil, operation thereof requires a public service concession, mandatorily preceded by a public bid. Power trading companies wishing to operate in the power market need authorisation, under the provisions established by ANEEL's regulations. b if foreign companies bid jointly with a Brazilian company in a consortium, the leadership shall always be exercised by the Brazilian company. 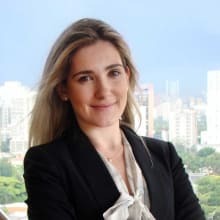 In addition, the bid notice usually establishes that foreign companies shall have a legal representative in Brazil with powers to receive service of process and provide answers in the judicial and administrative spheres, as well as represent them in all phases of the proceedings. The legislation does not forbid electricity companies, organised under Brazilian laws, from being controlled by foreign companies or private equity investment funds organised under foreign legislation (except for nuclear power plants). 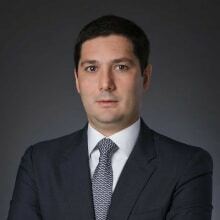 ANEEL requires, however, that such companies have a legal representative in Brazil, duly vested with powers to receive service of process and provide answers in the judicial and administrative spheres. In addition, there are specific restrictions for the organisation of power companies in the economic group. Unbundling, adopted by the sector since its restructuring in the 1990s and further deepened in the 2004 regulatory reform, restricted the activities of distribution companies in the regulated market, limiting their participation in other activities of the supply chain. As such, generation and distribution companies operating in the interconnected system are required to maintain separate legal entities and individual accounting, although they may be part of the same corporate group or share infrastructure and human resources when authorised by ANEEL. As a rule, the transfer of the regulatory licence or of the controlling interest7 of the industry's participants is subject to ANEEL's prior consent, mainly to adhere to the bidding process and transparency principles. In general terms, the regulation in force (ANEEL Resolution 484/12) sets forth that the prior consent of the regulatory agency is required for transfer of controlling interests of public service providers, hydropower companies and nuclear-fuelled energy companies, as well as in any companies, regardless of the power source, whose intended controlling company makes up the corporate group holding or which, with the intended transaction, become the holder of 'a significant share of the power generation market for the safety of the regulated market' – a concept yet to be tested by the regulatory agency. Some transactions are exempt from consent, under the terms established by ANEEL's regulations. Nonetheless, the exempt agent has a deadline to inform ANEEL of the implemented transaction. The rules currently in force may be further amended after upcoming regulation by the regulatory agency on how 'a significant share of the power generation market for the safety of the regulated market' is enacted. This matter has been under discussion at the regulatory agency for a while, without any formal pronouncement yet. The segregation of the different levels of the production chain was implemented mainly to promote efficiency and competitiveness, given that in the 1990s it became apparent that the vertically integrated industry had proven to be unable to provide services efficiently. The unbundling was formally adopted by the restructuring undertaken in the 1990s, and further enhanced under the 2004 regulatory framework. The primary purpose of the unbundling in the sector was to encourage competition in the generation and trading segments (which may be provided under competitive regimes), whereas transmission and distribution segments remain natural monopolies. Since the 1990s restructuring, the separation between the contracting of the grid's access and the purchase of electricity had already been adopted as an unbundling measure. The current regulatory framework also requires that generation, transmission and distribution activities be undertaken by separate legal entities, with specific restrictions on the corporate structure of their economic groups (see Section II.iii, supra). e. activities unrelated to the purpose of the concession, except for the cases provided by law or in the concession contract. The legislation has not imposed, however, the unbundling between the segments of generation and transmission, which has remained bundled up in some economic groups. Distribution and transmission companies are subject to regulation of access to their respective grids to avoid discrimination and eliminate barriers to entry. The regulatory framework requires that network companies share and provide access to 'essential facilities' to segregate the service provision from the corresponding infrastructure management. For this reason, the electricity sector is governed by the principle of open access to the electrical grid, upon reimbursement of the cost incurred with transportation. Both ANEEL and the Brazilian Telecommunications Agency (ANATEL) have issued regulations on the reference price applicable to infrastructure sharing (Joint Resolution 04/2014 from ANEEL and ANATEL), because of several disputes over the subject. Power transmission and distribution companies are subject to price regulation, and thus have their revenues calculated by ANEEL, which aims at setting prices to promote economic efficiency as if these segments were competitive and not characterised as natural monopolies. Rates are based on the price-cap mechanism (revenue-cap for transmission companies), and thus are subject to adjustment by an inflation rate; and a productivity factor called the X factor is also applicable. The initial rates or revenues are established in the concession contract resulting from either the auction's competitive process (applicable to new transmission assets), or the privatisation process. After the initial rates or revenues have been set, they are submitted to annual adjustments for inflation, periodic reviews (every four or five years, depending on the concession contract), and even to further extraordinary reviews to restore the concession's balance upon ANEEL's approval. Therefore, in the periods between periodic reviews, rates are annually adjusted for inflation (and the X factor is subtracted therefrom). Under this regime, concessionaires are encouraged to be more efficient by reducing costs up to the following price review, when new pricing levels are defined by ANEEL. The price control review process basically aims at setting new efficiency standards to operational costs and to the return of the investments, to ensure that private companies receive an adequate remuneration and that consumers pay fair electricity bills. The new standards established will be valid for the new period up to the following price review. 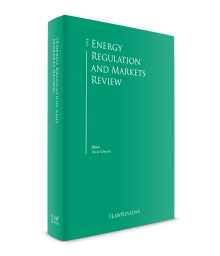 The 2004 restructuring process that established the current regulatory framework for the Brazilian power sector has envisaged two markets in which participants are able to sell power: the regulated market, and the free market. Within the regulated market, generation companies sell power to distribution companies participating as buyers in public auctions conducted by the government. Generation companies compete against themselves according to the rules of each auction by the lowest bid price (reais/MWh) to sell power to the distribution companies. As mentioned above, new-project auctions also involve the granting of concessions or authorisations to enable the winning bidders to operate new power plants. The regulated market aims at serving the captive market. In other words, the power bought by distribution companies in the auctions is purchased by captive consumers (defined as not having the choice to select their power supplier). As a rule, distribution companies are under obligation to buy power in the regulated market (aside from a few legal exceptions), and to ensure that 100 per cent of their consumers' demand is met. c back-up energy auctions, conducted to increase security of power supply. c. auctions for structuring projects, conducted to contract strategic projects designated by CNPE. Recently, new legislation has been enacted to allow new-project auctions to be conducted as from the third until the seventh year after the bid. Accordingly, most recent auctions were launched as A-4 and A-6. d. adjustment auctions, conducted to adjust the demand projections of distribution companies. Recently, new legislation has been enacted to allow auctions for existing projects to be conducted in the same year or up to the fifth year after the bid. Note that 'A' is the year in which the plant must enter operation and start delivering power to the grid. There are also renewable energy auctions, conducted between years A-1 and A-6 exclusively for contracting new or existing projects that rely on renewable sources. In the last bids, this type of auction has contracted power originated from SHPPs, wind and biomass plants. In the free market, power is freely traded between the parties entitled to participate in it: generation and trading companies, as well as free and special consumers. Free consumers, who may choose their power generation supplier, need to have a demand higher than 3MW. Former consumers also need to comply with a voltage requirement, which will be waived as from 1 January 2019. Special consumers, which may constitute a consumer or group of consumers that share the same interests, are required to have a demand higher than 500kW and may only choose their supplier when buying from specific renewable sources. Sector participants that carry out power trading transactions are under obligation to comply with all of its rules and regulations. As a result of the 2004 regulatory reform, participants must prove that 100 per cent of the power sold in PPAs is associated with generation plants of their own, or belonging to third parties (by means of PPAs to purchase from them), according to the terms set forth by Decree 5,163/2004. While distribution companies need to serve 100 per cent of their market's demand, sellers need to produce or purchase the same amount sold under PPAs, and consumers need to consume the same amount purchased under PPAs. The operation of the Brazilian interconnected system may cause the dissociation of the participants' contractual commitments from the actual physical delivery of the power traded. Power production mainly depends on operational decisions made by the ONS, since a number of power plants are subject to centralised dispatch, which reduces the control that companies have over their own plants' output. A few regulatory mechanisms have been established to mitigate this risk and avoid financial exposure of these participants for reasons they cannot manage, such as the Energy Reallocation Mechanism, applicable to hydropower plants. Within the regulated market, as a result of the auction, long-term power purchase agreements are executed among each of the generation companies that have won the bid and the distribution companies buying at the auction. In back-up energy auctions, a back-up energy agreement is executed among, the sellers, and the CCEE, as a representative of all consumers. All contractual conditions – including supply period, rates (set by the low-bid award criteria), and amounts – are defined within the bid process and are not subject to negotiation. In the free market, participants execute PPAs in which they freely establish conditions, supply period (short, medium or long term), price and amounts, provided that the contractual terms comply with the sector's rules and regulations, particularly the CCEE's trading rules and procedures. Some developments have been attained recently. Free and special consumers and small generation participants are eligible for representation in their transactions before the CCEE by a 'retail trading company', under the terms established by ANEEL's regulations. Free-market consumers have also been granted the possibility of assigning power to other participants under the conditions set forth in the applicable regulations, despite not being authorised to sell it. Because of concerns raised about over-contracted distribution companies (to serve the relevant market demand) and about the struggle of generation companies to comply with their construction schedules, ANEEL has issued new regulations on mechanisms for contracting-level adjustments by way of bilateral agreements, and on new mechanisms to reduce the distribution companies' contractual surpluses by assignment of amounts related to new-project PPAs among themselves and by competitive bids to terminate agreements. In addition, more recently, Decree 9,019/2017 was enacted to enable the termination of back-up energy agreements under the conditions established therein, and Law 13,360/2016 allowed the sale of the excess energy by distribution companies to free consumers, under the provisions of ANEEL's regulations. One of the most important regulatory policies adopted to encourage the development of renewable power was Proinfa, an incentive programme to encourage the use of alternative power sources, created by Law 10,438/2002. This programme was based on feed-in mechanisms to contract wind, biomass and SHPP projects for a 20-year period. According to the programme regulations, a total of 3,300MW was expected to be contracted under the first phase of Proinfa. The second phase aims to achieve 10 per cent of the annual energy consumption deriving from renewable sources until 2022. Recent information provided by the EPE, in its 2026 Energy Plan,13 shows growth in installed capacity of wind and solar plants of 2,653MW since 2009, and that wind power is the source whose participation through auctions has most grown. The EPE has also stated in the referred plan that, while wind power has become more competitive in price, competitiveness of SHPPs has decreased particularly because of environmental and construction risks. As for solar energy, its installed capacity is still not significant but is expected to grow. Renewable energy sources are entitled to some regulatory benefits (such as a discount on fees for use of the electrical grid, and the option of selling power to special consumers, under the terms established by law), and also to some special credit lines from the Brazilian public bank BNDES, the National Bank for Economic and Social Development. The Special Incentives Regime for Infrastructure Development, known as REIDI, is a federal tax-incentive scheme for the development of infrastructure, applicable to the purchase of equipment related to power generation and transmission projects, including renewable energy ones, under conditions established by legislation. At the federal level, a tax incentive is granted for 'infrastructure debentures' as well. There are also some local incentives granted by states to encourage the development of renewable sources. The Brazilian power market gained a lot in terms of power efficiency during 2001's rationing, when the market learned how to make the reduction in consumption required by the government. As the market has suffered rather unfavourable hydrological conditions in recent years, broad awareness campaigns on the country's exposure to water-shortage conditions have been conducted, possibly as a way of encouraging energy-efficiency measures without recourse to stricter rationing control. In addition, since January 2015 power rates have been subject to a band pricing scheme, which, by allowing customers to be charged more when the system incurs higher generation costs, represents an important incentive for demand reduction.14 Moreover, a new pricing scheme is expected to be available for certain consumers as from January 2019 (others will have the option at later dates), allowing them to pay different rates according to the time and the day of the week of their consumption. The avalanche of lawsuits, filed by the market's players not only to prevent losses deriving from the recent major drought, but also to deal with several intervening governmental acts, are still pending. At the same time, distribution companies have been struggling with their over-contracting levels, mainly caused by the current economic projections for the following years and the continual migration of consumers to the free market, which has had more attractive prices lately. A competitive mechanism for the termination of these power purchase agreements with the distribution companies was carried out by ANEEL in August 2017.
e. the acquisition, by Equatorial Energia, of the controlling interest of the transmission concessionaire Intesa. The coming years are likely to be a continuation of what has already been an eventful period for the Brazilian market. Although there are issues yet to be addressed, the sector has been adjusting well to the new economic and political scenario, and important transactions can be expected in the near future. Following the privatisation of Celg Distribuição in 2016, the privatisation of another six distribution companies belonging to state-owned Eletrobras are projected to have their controlling interests auctioned in May 2018. A different auction is expected by the market for the privatisation of the Eletrobras holding, which is not the same as the privatisation of the distribution companies and currently depends on a bill of law under discussion in the Congress. In addition, the government of the State of São Paulo is studying the privatisation of Cesp, which owns the HPP Porto Primavera. The market is already responding to the positive signals sent by the government to investors. Increased competition and the entrance of new foreign bidders, in particular Indian and Chinese companies, is likely both in transmission auctions and in mergers and acquisitions. From a financial perspective, investors should be able to adopt original alternatives for financing (e.g., infrastructure debentures), given that the government has been increasing interest rates for loans and will most likely significantly reduce its participation in the sector by either reducing funds made available for certain types of investments or restricting investments from state-owned companies. The strength of the Brazilian market's institutions will certainly play an important role in its gradual recovery and stability. EPE estimates that investments in power generation in the years 2017–2026 will amount to 242 billion reais, and another 119 billion reais in power transmission and substation.24 In sum, the Brazilian power sector should be viewed as a target for long-term investments, to the extent that investors are knowledgeable of the characteristics inherent in each type of investment and accurately assess the risks involved. 1 José Roberto Oliva Jr is a partner and Julia Batistella Machado is an associate at Pinheiro Neto Advogados. 2 At the time of writing, a new reform is under discussion in the Congress, comprising topics such as the Generation Scaling Factor (GSF), short-term models (DESSEM) for the generation schedule of hydro and thermal plants and the separation of energy purchase and energy production in new auctions. 3 Information provided by the Brazilian Electricity Regulatory Agency (ANEEL) on its power generation data centre. In: BRASIL. Agência Nacional de Energia Elétrica. Banco de Informações de Geração. Available at www.aneel.gov.br/aplicacoes/capacidadebrasil/capacidadebrasil.cfm. Accessed on 26 March 2018. 4 In a way, the companies were already subject to regulation before the creation of ANEEL, but the previous governmental bodies lacked effectiveness since they were not granted with autonomy and were part of the central government, which also controlled the state-owned companies that were the main service providers within the sector at the time. 5 In this case, the auction usually requires that a minimum percentage be allocated to the regulated market. 6 The importance of the difference between the two regimes has diminished since independent producers are entitled to consume part of their production and self-producers are allowed to sell the unused portion of their own output under the conditions set forth by rules and regulations. 7 The concept of controlling interest adopted by ANEEL is the same as provided in Brazilian corporate law and is associated with prevalence in the company's corporate and managerial decisions. 8 The CCEE calculates the PLD based on the Operation's Marginal Cost (CMO) and on a variety of criteria established by legislation (e.g., hydrologic conditions) for each submarket and for each demand level. 9 The CCEE has responsibility for the processes described – the accounting of the market's traded power amounts and the financial settlement of the values involved in short-term market transactions. 10 The assured capacity considers the plant's expected production and excludes events of unavailability, and may be lower than the installed capacity of the power plant. 11 While in the regulated market the assured capacity represents the limit available for sale, participants in the free market are able to sell an amount above the assured capacity if they have executed PPAs to cover the total amount sold. 12 Under availability contracts, the remuneration consists of a fixed amount for the plant to be available, and an additional value that varies according to the plant's effective production. 13 Brasil. Ministério de Minas e Energia. Empresa de Pesquisa Energética. Plano Decenal de Expansão de Energia 2026. Brasília: MME/EPE, 2017. Available at: www.epe.gov.br/sites-pt/publicacoes-dados-abertos/publicacoes/PublicacoesArquivos/publicacao-40/PDE2026.pdf. Accessed on 26 March 2017. pp. 115-117. 14 Green, yellow and red flags indicate lower, medium and higher generation costs. As a result of the recent water shortages, the ONS has continuously dispatched high-cost thermal power plants since the end of 2012, and consumers have had red flags in their bills for some time. 15 Under this policy, possible excess of the consumer's production is exported into the grid and assigned to the distribution company, and thus may be compensated with credits in the subsequent billing periods, under the conditions set forth by regulations. 16 Residential, rural and other classes, except for low-income consumers and streetlight facilities. 17 Brasil. Agência Nacional de Energia Elétrica. ANEEL regulamenta medidores eletrônicos. 2012. Available at www2.aneel.gov.br/aplicacoes/noticias/Output_Noticias.cfm?Identidade=5903&id_area=90. Accessed on 19 April 2015. 18 Information provided by CCEE. Available at: https://www.ccee.org.br/portal/faces/pages_publico/o-que-fazemos/como_ccee_atua/precos/precos_medios?_afrLoop=146671209602266&_adf.ctrl-state=1dhgzocpb4_1#!%40%40%3F_afrLoop%3D146671209602266%26_adf.ctrl-state%3D1dhgzocpb4_5. Accessed on 26 March 2018. 19 Brasil. Agência Nacional de Energia Elétrica. Nota Técnica 0056/2017-SRD-ANEEL. 2017. Available at www.aneel.gov.br/documents/656827/15234696/Nota+T%C3%A9cnica_0056_PROJE%C3%87%C3%95ES+GD+2017/38cad9ae-71f6-8788-0429-d097409a0ba9. Accessed on 26 March 2017. 20 Information provided by ANEEL. Available at: www2.aneel.gov.br/aplicacoes/editais_geracao/documentos/1%C2%BA%20Relat%C3%B3rio%20Habil.%20final%20-%20Leil%C3%A3o%2001-2017.pdf. Accessed on 26 March 2018. 21 Information provided by CCEE. Available at: www.ccee.org.br/ccee/documentos/CCEE_546633 and www.ccee.org.br/ccee/documentos/CCEE_550232. Accessed on 26 March 2018. 22 Information provided by CCEE. Available at: www.ccee.org.br/ccee/documentos/CCEE_556233. Accessed on 26 March 2018. 23 Information provided by ANEEL. Available at: www2.aneel.gov.br/aplicacoes/editais_transmissao/documentos/Resultado_do_leilao_05-2016_quadro_resumo.pdf and www2.aneel.gov.br/aplicacoes/editais_transmissao/documentos/resultado_leilao_2-2017.pdf. Accessed on 26 March 2018. 24 Brasil. Ministério de Minas e Energia. Empresa de Pesquisa Energética. Plano Decenal de Expansão de Energia 2024. Brasília: MME/EPE, 2017. Available at www.epe.gov.br/sites-pt/publicacoes-dados-abertos/publicacoes/PublicacoesArquivos/publicacao-40/PDE2026.pdf, p. 254. Accessed on 26 March 2018.